Welcome back to Patterings, Sarah! John 15:5 is my theme verse right now: “’I am the vine, you are the branches; he who abides in Me, and I in him, he bears much fruit; for apart from Me you can do nothing’” (NASB). Everywhere I look, this concept and this verse keep popping up, a firm indication that the Lord wants to get my attention and teach me the importance of abiding in Him. Can you hear me laughing? My kids are in high school and middle school, so I live in my car—go, go, go. I used to sew a lot, but the tiny portion of my brain that’s creative is now given entirely to writing. Thank goodness writing relaxes me. Tough question. If you’d asked me this question as a teenager, I would have filled several pages (messy, too quiet, and big hips for starters), but now I’m more comfortable with who I am. Now I see God gave me all my personality traits, even the ones I don’t like, for a reason. If you look at the Bible, you see how God used all sorts of people—bold Paul, impulsive Peter, melancholy Jeremiah, insecure Moses, fearful Gideon, dreamer John, etc. How exciting to see God work through imperfect people—and through imperfect me! It has to be my heroine, Lt. Ruth Doherty. She fascinated me. On the surface she is so strong she doesn’t need another human being—and she has a great sense of humor. But underneath she has deep hurts and shame. It was fun for me to tease out what made her the way she is and to watch her change and grow. Tell us about your Wings of Glory series. 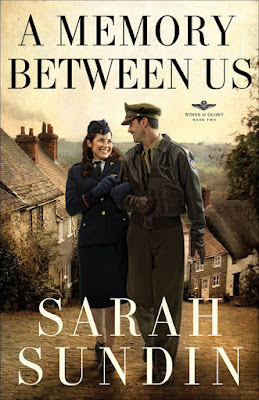 A Memory Between Us is the second book in the Wings of Glory series, which follows the three Novak brothers, B-17 bomber pilots with the US Eighth Air Force stationed in England during World War II. The first book, A Distant Melody, came out in March, and the third book comes out August 2011. Each book stands alone. Almost everything! I enjoy historical research, to the point of getting ecstatic when I found copies of the pilot’s manual for the B-17 bomber and the Army Air Force B-17 training film. Sick, really. But I also love the pre-writing stage, the actual writing, even the editing. And my favorite part of all is when I’m deep in a scene and it flows. It can be anything. The idea for the very first book I wrote (never to be published) came from a dream. Story ideas have come from “what if” questions raised in other books I was writing, movies I’ve seen, people I’ve met, news stories, or historical incidents—often a combination of these. The spark for A Memory Between Us came when I had an idea about a poor girl who makes a shameful decision to help her family. What would the consequences be? What would she be like when she grew up? What would happen if she met my hero? I really liked what happened when the two of them started bantering, and I couldn’t wait to write their story. The third book in the Wings of Glory series releases August 2011. Lt. Raymond Novak prefers the pulpit to the cockpit, but his stateside job training B-17 pilots allows him to court Helen Carlisle, a widowed mother who conceals her pain under a frenzy of volunteer work. The sparks of their romance set a fire that flings them both into peril. Ray leaves to fly a combat tour at the peak of the air war over Europe, while Helen takes a job at a dangerous munitions yard and faces an even graver menace in her own home. Can they both find the courage to face their challenges? 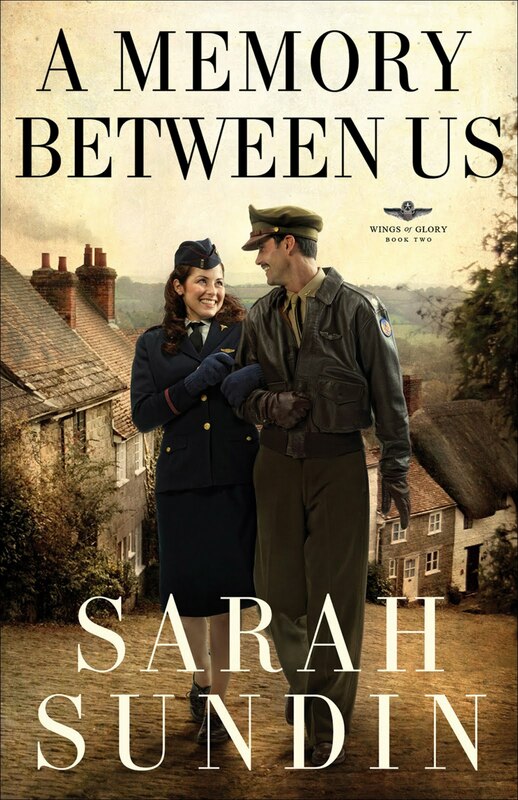 Sarah is giving away a copy of A Memory Between Us. To be entered in the book giveaway, leave a comment by Friday, September 10th and check back on Sunday, September 12th to see if you've won. You can enter twice--once on each post in this spotlight (part 1 posted yesterday). If you want to guarantee that you're notified if you win, then leave your email address in the comment, otherwise, you can just check back and email me through the button in my sidebar. Looks like a wonderful one, Patty - they're right, by the way. You ARE a great interviewer. Thanks for sharing this author, and book, with us. Enjoyed the interview! I laughed about the part where she says that she feels she lives in her car due to her kids. I am sure I will feel that way as well as my kids get older. Many of my friends who have older children say the same thing. I can't wait to read Sarah's latest! Loved the interview. I will definitely have to read this book. Loving the interview. Looking forward to reading this book. A Memory Between Us sounds engaging and I love sparks of romance heating up a story. Please add me! I was a very young girl during the times Sarah writes about, so remember much of the history and the flavor of wartime America. I loved meeting the Novak family in A Distant Melody, and look forward to the next story with eagerness. Yes, please enter me in the giveaway. Thanks. I loved A Distant Melody and have eagerly awaited this second book, Sarah. My Dad served in World War II and I have a picture of him dressed just like the soldier on your cover. What treasured memories you bring back! I also love books with an English setting. The village scene in the background of your cover is one of my favorite screensaver photos. Thank you for doing this interview, Sarah and Patty. I appreciate the chance to win A Memory Between Us. Fascinating to read about what inspired you to write your story. I love books based in WWII as there's so much danger and conflict. Characters have to be so brave to endure it all. I can't imagine what it must have really been like. I would love to win this book! It sounds great! Thanks for the chance. Cherie - yep, living in the car. My oldest will be going away to college in 2 weeks (! ), so the car days are numbered. I do lots of brainstorming while driving, and lots of editing & research on the soccer field. Patty - they're right - great interview questions! Oh, I can't wait to read this! Please count me in! Awesome interview! Please enter me. Enjoyed the interview. Please enter me in the drawing. 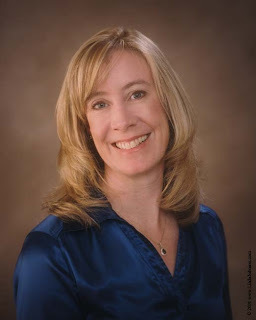 joann4us(at)yahoo(dot)com Thanks!